Just to say, I loved your Legacy, what an entertaining story! Sad you got bored with it but I can appreciate that after a while, the Challenge element of it is kind of lost, what with every one maxing out jobs and whatnot. But thanks, your Legacy helped guide me towards shaping my own and gave me a whole lot of laughs along the way! Thank you! 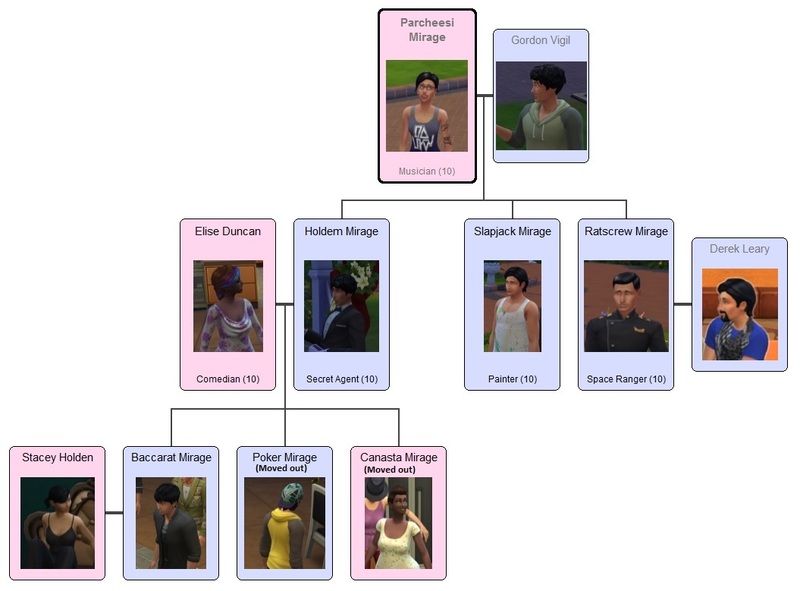 To be honest I didn’t so much get bored with it as get frustrated with the constant multiple births – 3 generations of 5-8 household members got overwhelming, and when gen 3 brought home their own set of twins (or was it triplets?) that was the straw and I was the camel’s back. They haven’t gone anywhere. I started a new game for the expansion so I could explore it from scratch, but in fact nothing says I can’t simply play the Mirages again.